﻿The perfect Tea for putting a smile on your face. Let’s get the party started with our Indian Black Tea blend that will remind you of vanilla cupcakes with candy sprinkles. I’m a sucker for teas with sprinkles in them! So I was SUPER excited to try this tea from White August Tea Company. It’s called ConfeTEA. This one is wonderfully creamy! Silky-Smooth! Awesomely velvety! The description of Vanilla Cupcakes with Sprinkles is VERY accurate! This is tremendous! One that would appear on my favorites list time and time again! The perfect Tea for putting a smile on your face. Let’s get the party started with our Indian Black Tea blend that will remind you of vanilla cupcakes with candy sprinkles. What a fun tea! And it really does smell like vanilla cupcakes! I love cupcakes – I go positively giddy every time I see something cupcake (especially if I see a cupcake bakery! haha!) So I was really excited about this tea. The cute little candy sprinkles add such life to what might otherwise be an ordinary-looking black tea. 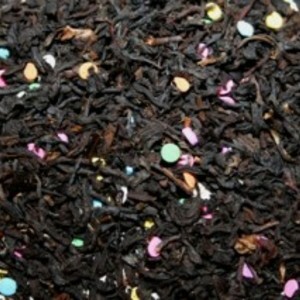 The candy sprinkles melt during steeping, and add just a tiny bit of sweetness to the cup. (If you like your teas sweet, you might want to add just a little more) The black tea is brisk but not overbearing, and has a pleasant, inviting taste (and aroma!) There is a light astringency to this cup. It is not bitter, though, even after five minutes of steeping. This tea has a light vanilla taste to it. Like the black tea base, it is not an overwhelming vanilla taste. This would be a great tea to serve to guests (a great party tea!) because it has a fairly mellow tone to it, it is not overly astringent. It is not cloying nor bitter… a very friendly sort of tea! Direct Link to the product at their store…CLICK HERE. I’m always interested in Mint Chocolate Chip Flavored stuff! I have to admit…I just think chocolate and mint are genius together…generally speaking! BUT…when it comes to this flavored rooibos…it doesn’t let me down! It’s intensely flavored and smells AWESOMELY AWESOME! 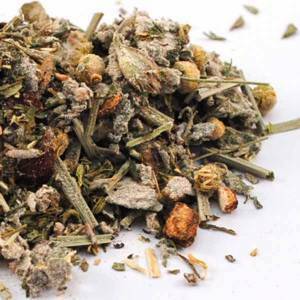 I know that is redundant and not the most creative phrasing for an official tea/tisane review but it DOES fit the bill…trust me! I can see all of the ingredients and something that looks like dried apple but I don’t see that in the list of ingredients so maybe what I am seeing is a vanilla bean or something. The taste is a nice, bold, strong Chocolate and Mint Mix. 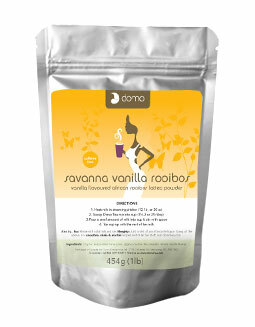 It does hide quite a bit of the Rooibos taste but paired with the vanilla makes for a milky-smooth ending and aftertaste. This is very good! I like this a lot! And I mean A LOT! As it cools the chocolate becomes more malty…almost like a chocolate milk shake type malty…this aspect of the taste interests me as I don’t recall having that happen to me in other tea/tisanes. This without a doubt made it to my mid 90 percentile of favorites!